Roger Daltrey has announced that he’ll release a solo album later this year. It’s titled As Long As I Have You and it’s set to arrive on June 1 via Polydor Records. The record has been produced by Dave Eringa and along with a selection of new tracks, the album also features songs that have inspired The Who frontman, including Nick Cave’s Into My Arms, Stevie Wonder’s You Haven’t Done Nothing and How Far by Stephen Stills. The title track, which can be heard below, was originally recorded by Garnet Mimms in 1964. Daltrey says: “This is a return to the very beginning, to the time before Pete Townshend started writing our songs, to a time when we were a teenage band playing soul music to small crowds in church halls. That’s what we were, a soul band. Daltrey adds: “You carry all the emotional bruises of life and when you sing these songs, those emotions are in your voice. You feel the pain of a lost love. You feel it and you sing it and that’s soul. The singer’s Who bandmate Pete Townshend guests on seven of the tracks, while there are also performances from keyboardist Mick Talbot and guitarist Sean Genockey. 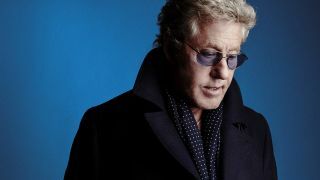 Daltrey will headline London’s Royal Albert Hall on March 22 in aid of Teenage Cancer Trust. As Long As I Have You is now available for pre-order. Find the cover art and tracklist below.